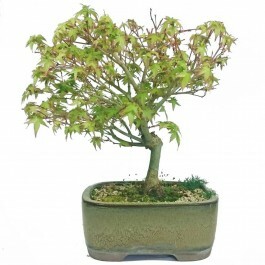 Japanese Maple - Kiyohime Cultivar in 15cm glazed bonsai pot. 21cm tall from the top of the pot. 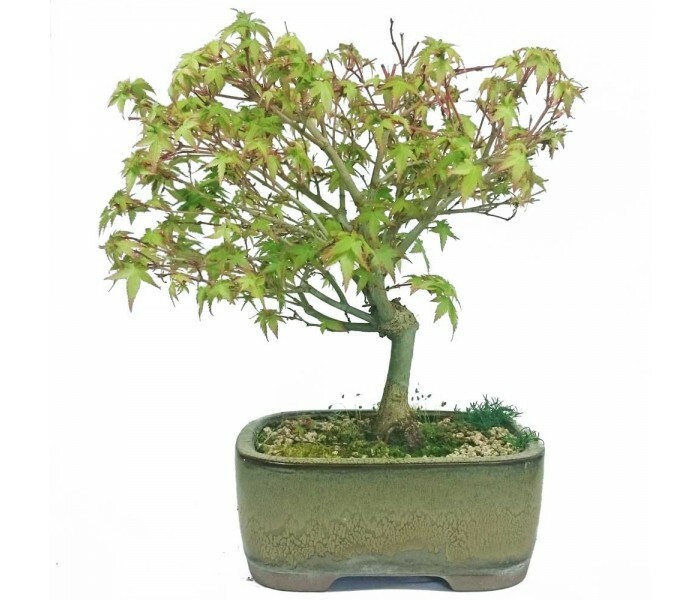 Japanese Maple - Kiyohime Cultivar in 15cm glazed bonsai pot. These delightful maples have leaves which change throughout the season creating year round interest. Keep protected from cold nights in late spring, otherwise they are fully hardy but like a sheltered spot. Pictured shortly after coming back into leaf.